When it comes to holidays, we Aucellos hit the ground running. As soon as Halloween is over, we start thinking about Thanksgiving. 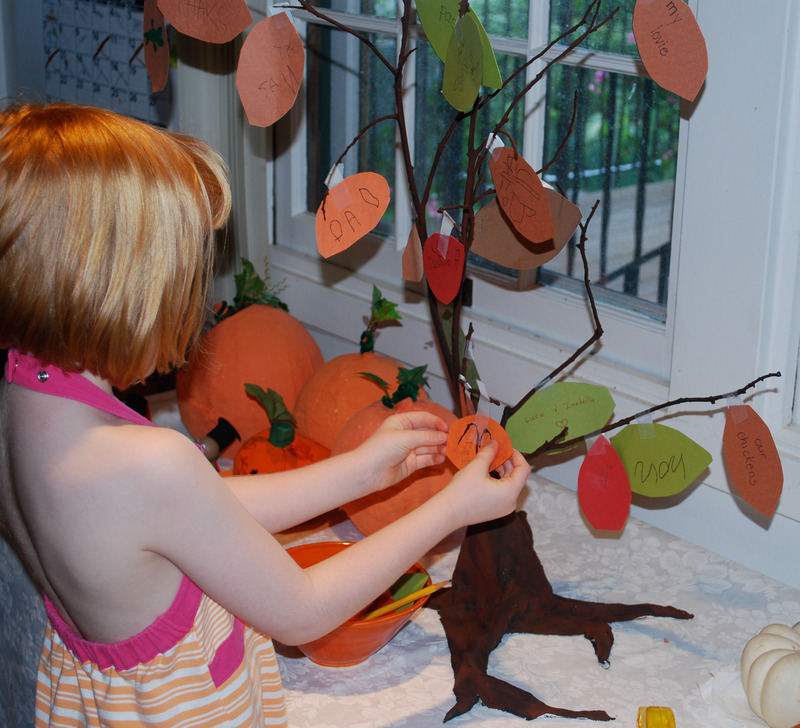 The “Thankful Tree” is a good way to channel creative energy and remind us all of the reason for the season. During the month of November we record our ideas on construction paper leaves. Bigger kids can cut their own leaves. 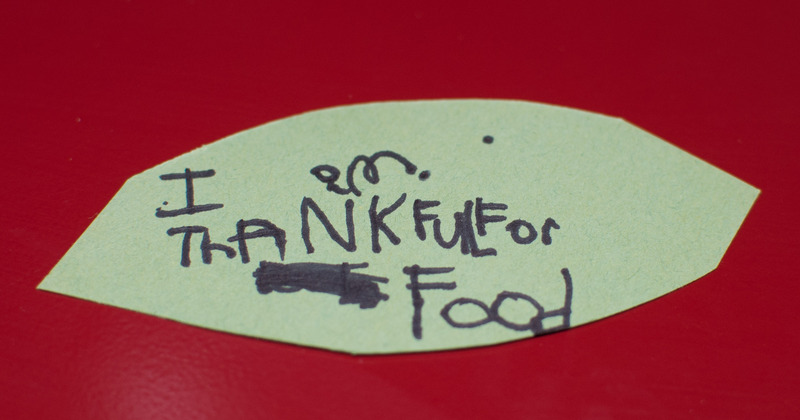 Smaller kids can use precut leaves and draw their ideas. 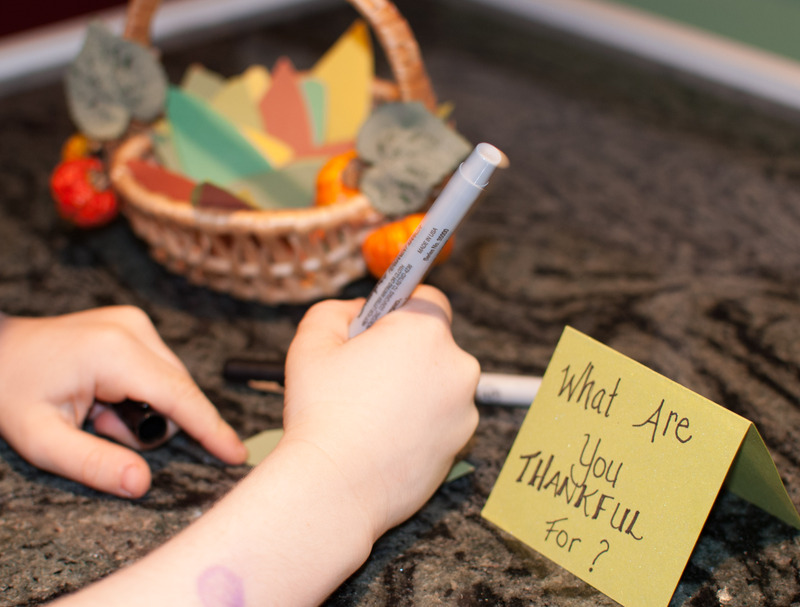 We have a small basket full of paper leaves in fall colors, a few markers, and a sign inviting family and friends to record what they are thankful for. In years past we have hung them on a tree made from a tree branch (top) but this year for something different we attached them to our holiday wreath (bottom). A few days before Thanksgiving, our “leaves” become “feathers” on pinecone turkey place markers, which will grace our table on Thanksgiving. 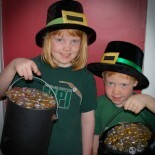 Note : You need not do this the entire month – you can have the kids work on their leaves during Thanksgiving Day. We have a guest coming to dinner who will be asked to think of 5 things so the kids can finish his place marker. This also gives the kids something to do as they wait for dinner. red paper as the beak. 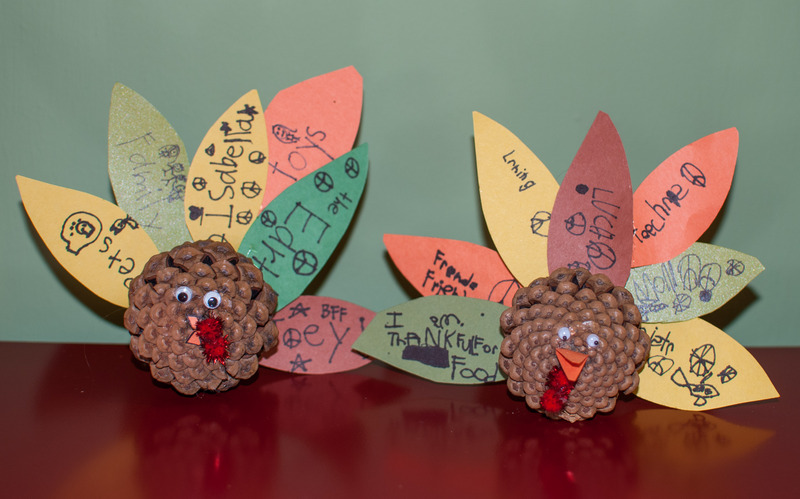 This entry was posted on November 18, 2012 by mdaucello in Crafts, Crafts, Thanksgiving.